While exercise is known to boost your circulation, it’s not unusual for it to actually reduce blood flow to your fingers. Reduced blood flow can cause edema, or fluid pooling in your hands. Symptoms usually disappear shortly after you stop working out. However, if they persist, see a doctor for an accurate diagnosis. During a workout, your heart beats quicker to pump more oxygen-rich blood around your body, particularly to the muscles working the hardest. This doesn’t usually include your fingers, so circulation to this part of your body is likely to decrease. This can cause the blood vessels in your hands and fingers to expand to receive as much blood as they can, which in turn, may result in your fingers and hands appearing puffy and red. Edema is caused by excess fluid trapped in your body’s tissues, which causes them to swell, says Christian Nordqvist in "What is Edema? What Causes Edema?" With increased blood flow during a workout, your muscles need to pump harder to stop it from pooling. This isn’t a problem for the big muscles in your legs and buttocks, which are usually working hardest when you’re exercising. However, the pumping action of the smaller muscles in your arms isn't as strong as the pumping action in your lower body. As a result, the blood in your fingers has to move back to your heart against gravity, without the help of a powerful pump. This reduced circulation can mean some fluid is left behind, leading to redness and swelling. Changing your arm position while you exercise can reduce fluid pooling in your fingers. 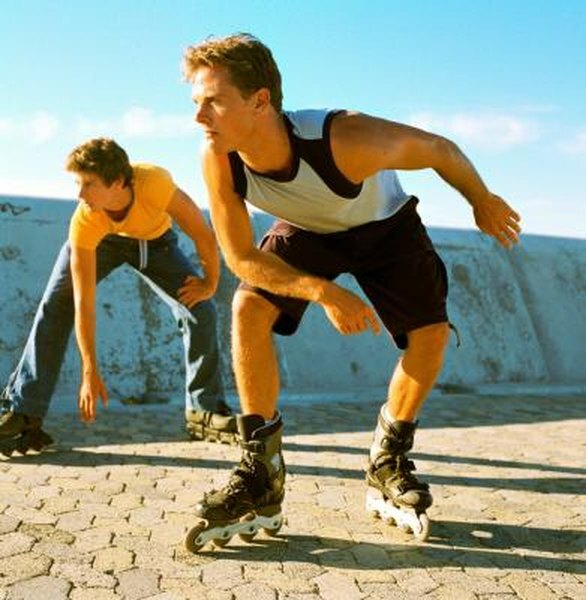 For example, when you run, skate, ski or cycle, your hands may hang well below the level of your heart, causing your circulatory system to have to work against gravity. As your fingers are also among the body parts farthest away from your heart, it’s a long and uphill journey for blood to get back to your heart. Circulation to your fingers should return to normal soon after you finish a workout. However, you can use a few methods to boost blood flow during your workout. Remove rings, watches, bracelets or other items that can restrict blood flow to your hands. Squeeze your fingers, shake your hands and raise your arms above your head at regular intervals during your workout to assist your body's circulatory system.